I love sharing my knowledge and experience with other people. I do this as a keynote motivational speaker at high profile career events, corporate conferences and professional associations, as well as being featured around the globe in media interviews, radio shows and podcasts. My keynote signature seminars ‘Winning Through Redundancy’, ‘Portfolio Careers – How to Work for Passion, Pleasure and Profit’ and ‘Changing Careers – Six Steps to Navigate Your Way to a Brighter Future’ have inspired hundreds of people, achieving outstanding feedback. 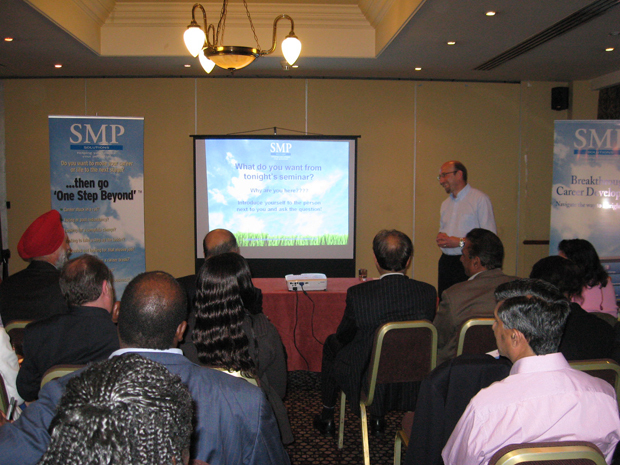 Check out my forthcoming inspirational events and seminars. 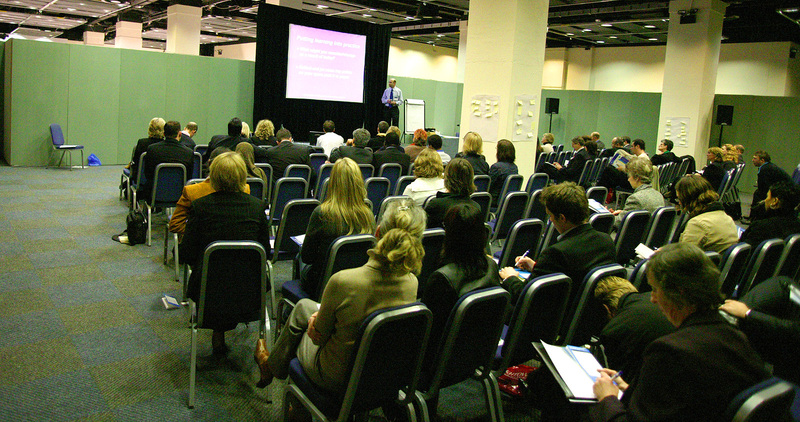 Steve has run this inspirational seminar dozens of times to a wide range of audiences. 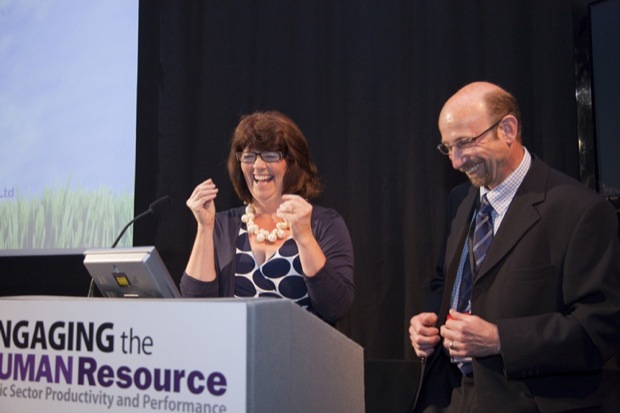 Most notably as an uplifting motivational keynote at a corporate conference, for a whole department whose staff had just been given notice of redundancy, so no mean feat! 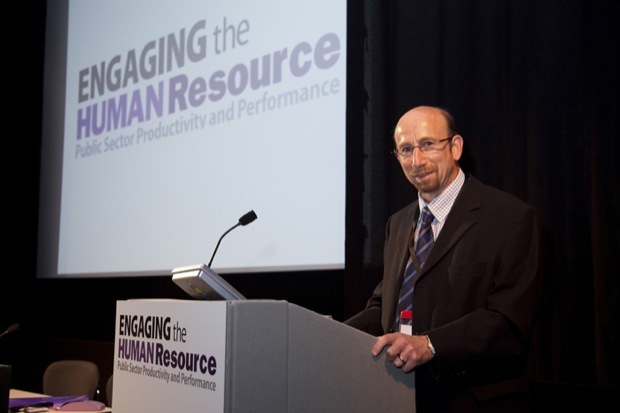 Steve showcases how the threat of redundancy can be transformed into a bright new future, using learning from his own career transition journey and his wealth of knowledge and experience since. 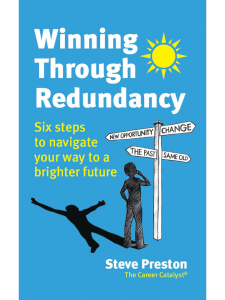 Steve provides practical hope also sharing key content from his Internationally acclaimed first book ‘Winning Through Redundancy’, which has received rave reviews from people around the globe! Portfolio Careers – How to Work for Passion, Pleasure & Profit! Can you imagine how it would feel to make the rest of your work life the best of your work life? Regain control of your career and life to rid yourself from the daily grind? How liberating would it be to break free and turn some of your interests, passions and talents into potential income streams? Create a blended working lifestyle that provides flexibility, variety, choice and fulfilment? 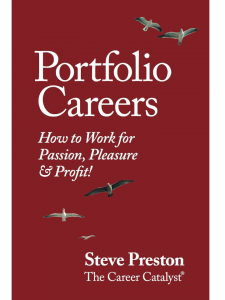 As a thought leader and champion of the Portfolio Career concept, in this illuminating seminar, Steve shares nuggets from his Amazon best-selling book ‘Portfolio Careers – How to Work for Passion, Pleasure & Profit’. No longer do you need to have a ‘traditional job’ or just do one type of work to make a living, Steve showcases you do have choice and how you can work for the 3 Ps of Passion, Pleasure and Profit! Changing career isn’t easy, which is why so many people live their lives in compromise, thinking ‘what if”. Having achieved his own successful career change and transition, Steve was determined find a simple and effective way to help other people also navigate the ‘career transition maze’. The result was his unique and empowering ‘6 Step Career Navigation Cycle’ process, which has since helped to transform the lives and careers of thousands of people. This inspirational seminar, is ideal for people at a career crossroads. Steve walks you through his 6 Step process to achieve a successful career change. 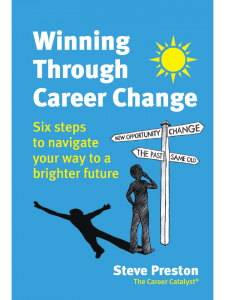 He also showcases many great case studies and key elements from his 2nd book, the Internationally acclaimed ‘Winning Through Career Change, described is ‘the definitive career change book‘! 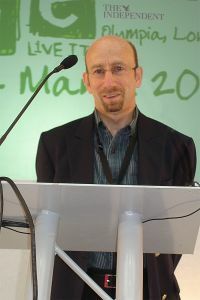 “Many thanks again for your presentation at our company conference and support of our situation at Pfizer. 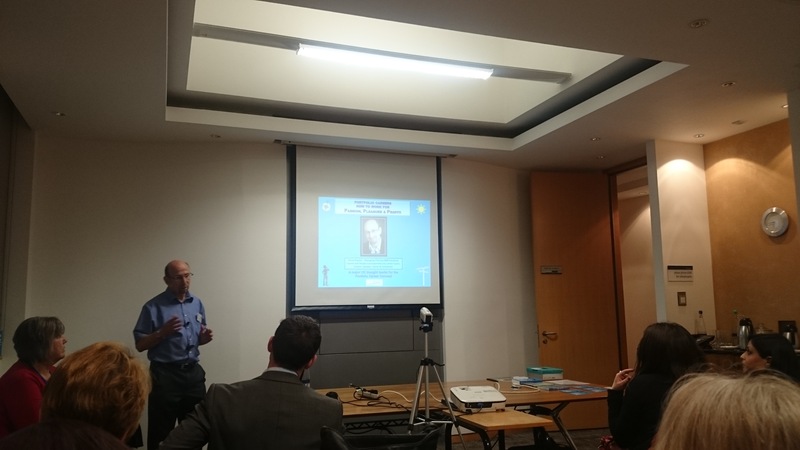 There was a lot of good feedback on Tuesday evening and during yesterday that suggests your session was well received and valued. Certainly it’s got a few people thinking and this of course was just the intention. I hope we are able to cross paths again in the future”. 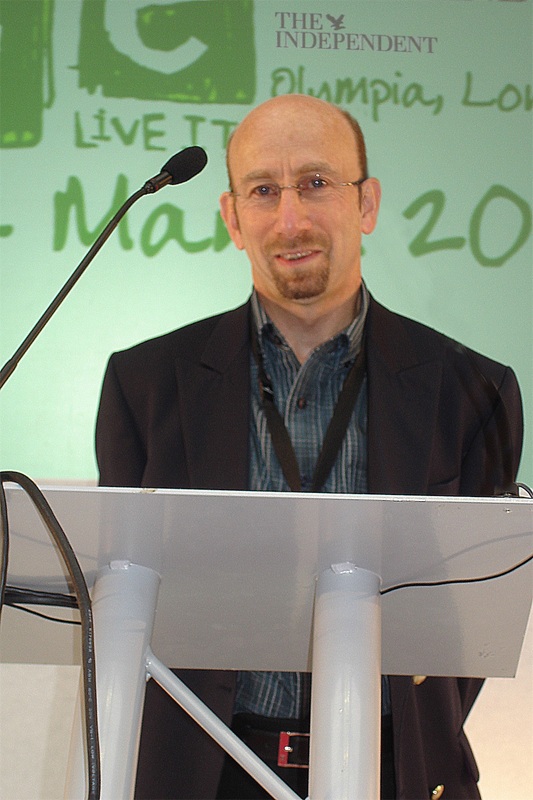 If you want a motivational Keynote Speaker and thought leader to inspire your audience on Winning Through Redundancy, Winning Through Career Change, Portfolio Careers & How to Work for Passion, Pleasure & Profit or other aspects of Career & Personal Development, Contact Steve to speak at your event, podcast or for a media interview.